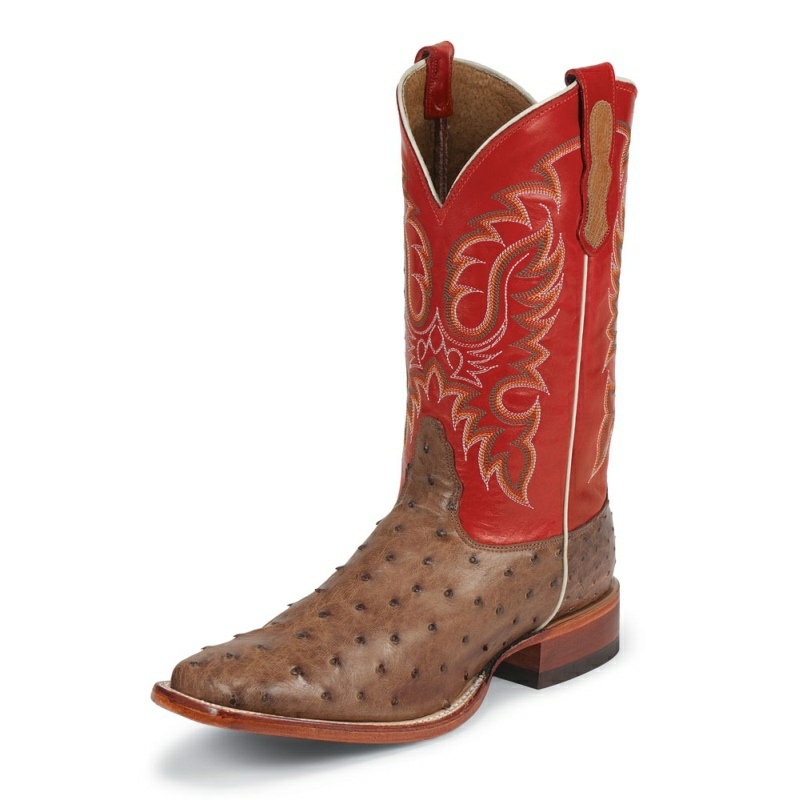 A stylish pair from Lucchese Handmade collection since 1883. 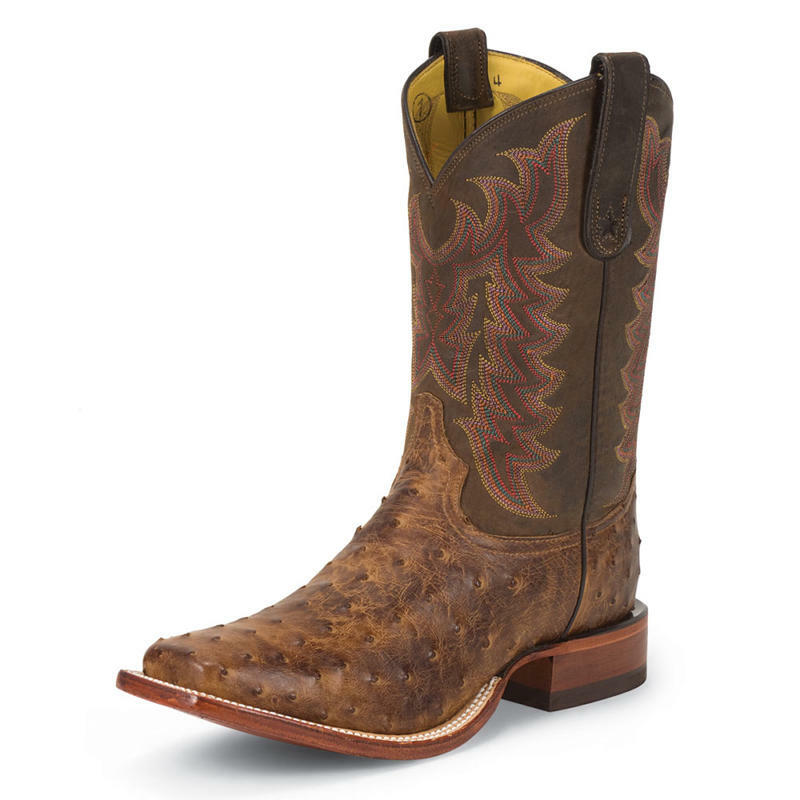 This boot features a distressed quarter outlined with hand-braided side welts and pullstraps, adding a unique edge to this tough boot which has a smooth leather lining with a great fit. 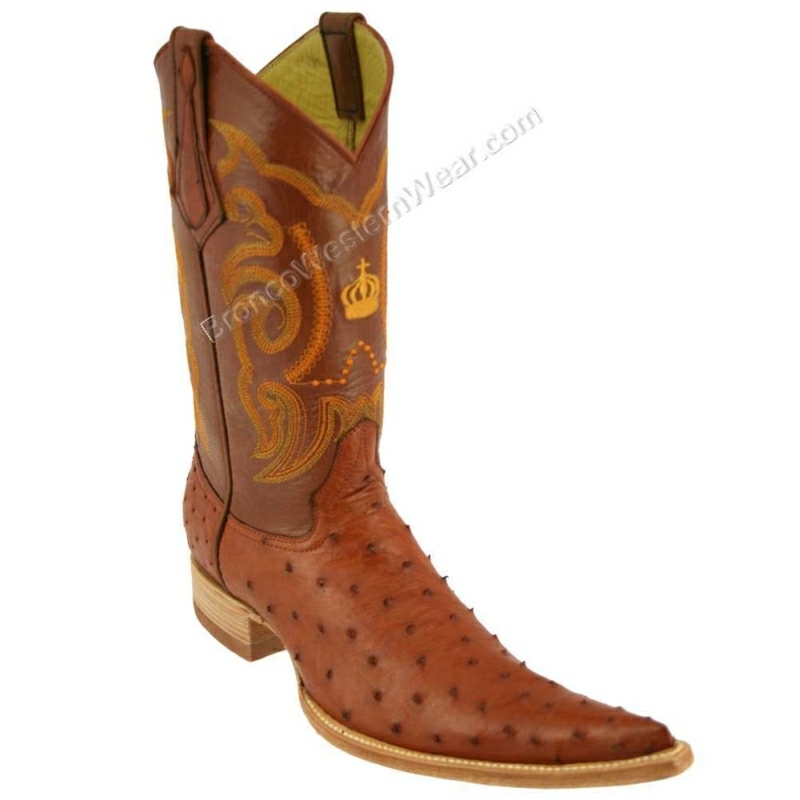 The subtle stitch design on the quarter and double welt makes the Crocodile Caiman belly vamp the focus of the boot. For a properly fitted Lucchese boot, the best way to begin the measurement process is with a Brannock device. By using the slider on the Brannock to measure the foot's arch length, you will always get within one half-size of the correct measurement. Ladies boots are normally sized in A, B and C widths, with B being the average width. Men's boots are sized in B, D and EE width, with D being the average. A general rule of thumb is the further you get from the letter A, the wider the boot is. 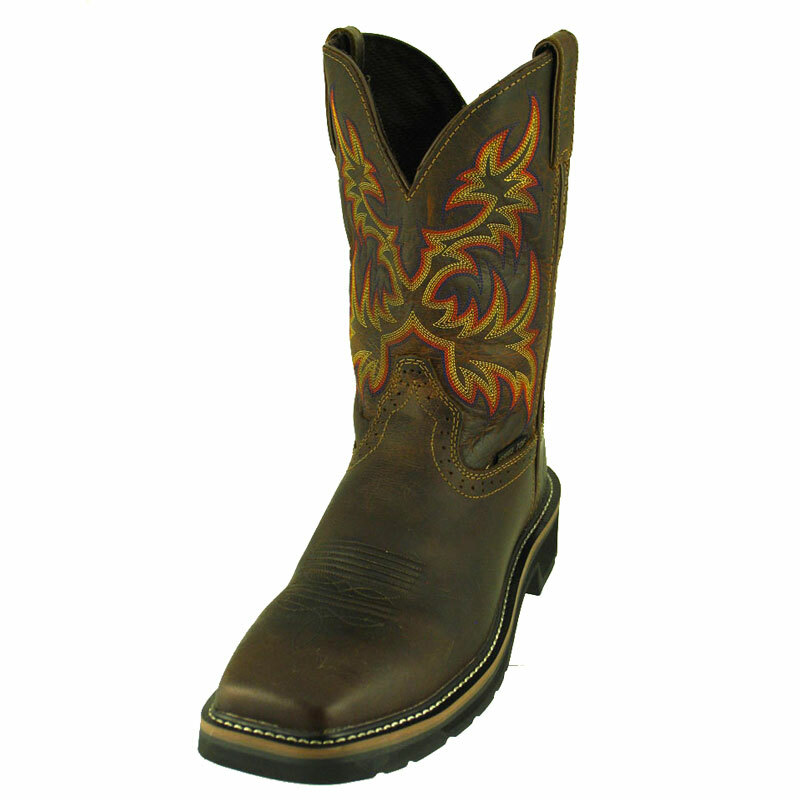 Unlike a traditional shoe with laces, the only thing a boot has to hold it securely to the foot is the instep. It is what determines whether or not the boot fits. If the instep is too tight, move on to a wider width. 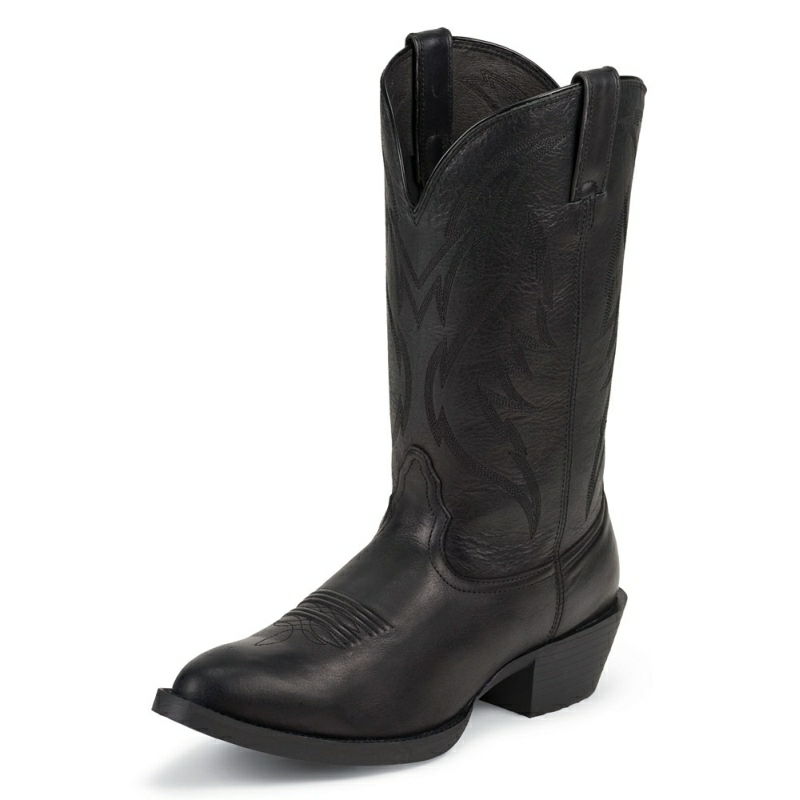 If the instep is too loose, the boot will slip excessively in the heel and you need to try a narrower width. When you move, run or walk, you bend your foot at its widest part, otherwise known as the ball of the foot. If the boot is too short for the foot, the ball of the foot will sit too far forward and and force the toes into the front of the boot. Ideally, the ball of your foot will fit in between the widest part of the boot. Contrary to popular belief, the ball of the foot runs at a slight angle to a shoe, not a perpendicular line. A boot will initially slip a small amount in the heel, typically around 1/4 to 1/2 inch, which is necessary for a proper fit. 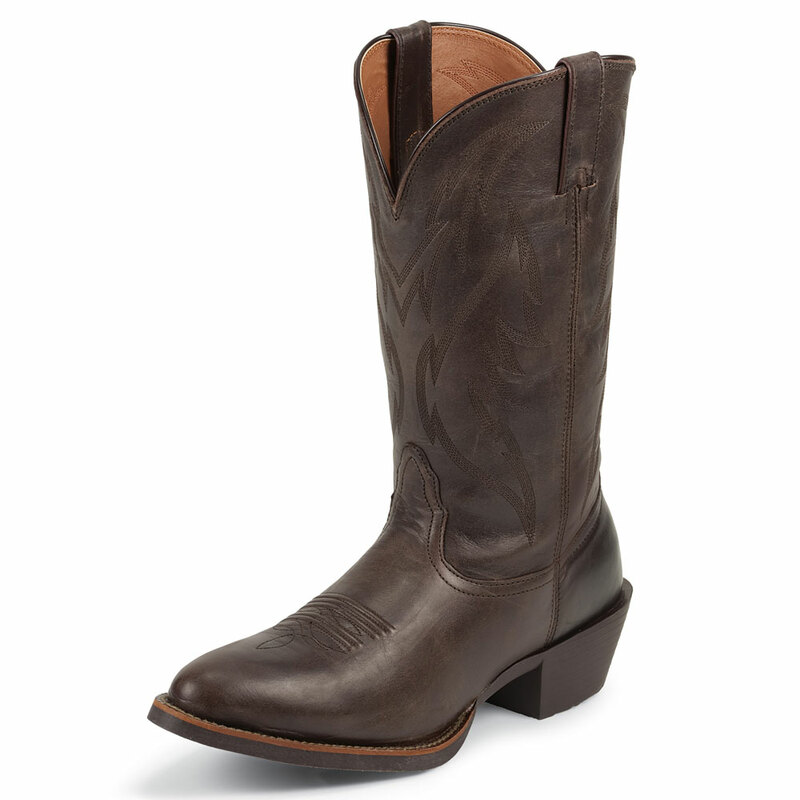 On a new boot, the thick leather outsole is stiff and doesn't flex a great amount. 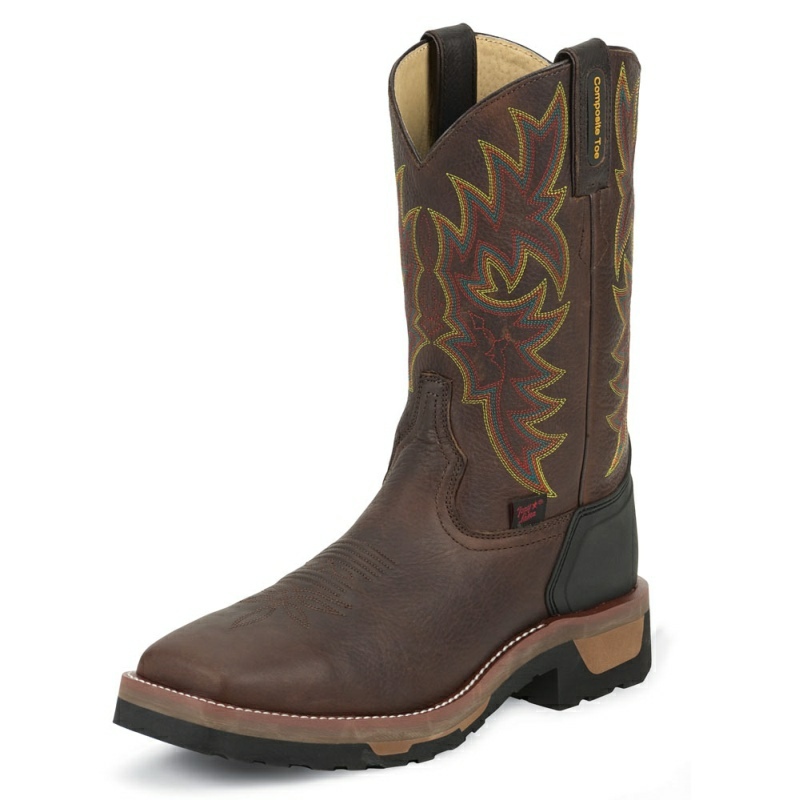 The more the boot is worn and the outsole is flexed, the more the slip will minimize. Over time, the hard leather heel counter will form to the shape of your heel when repeatedly exposed to the natural heat and moisture of the foot. Never press down on the toe box area to see where your toes end. This can permanently damage a pair of boots. Remember that if the boot is not snug over the instep, it could cause the foot to slide down too far into the front of the boot. This will result in a false reading of the boot being too short. Should this be the case, try something more narrow. 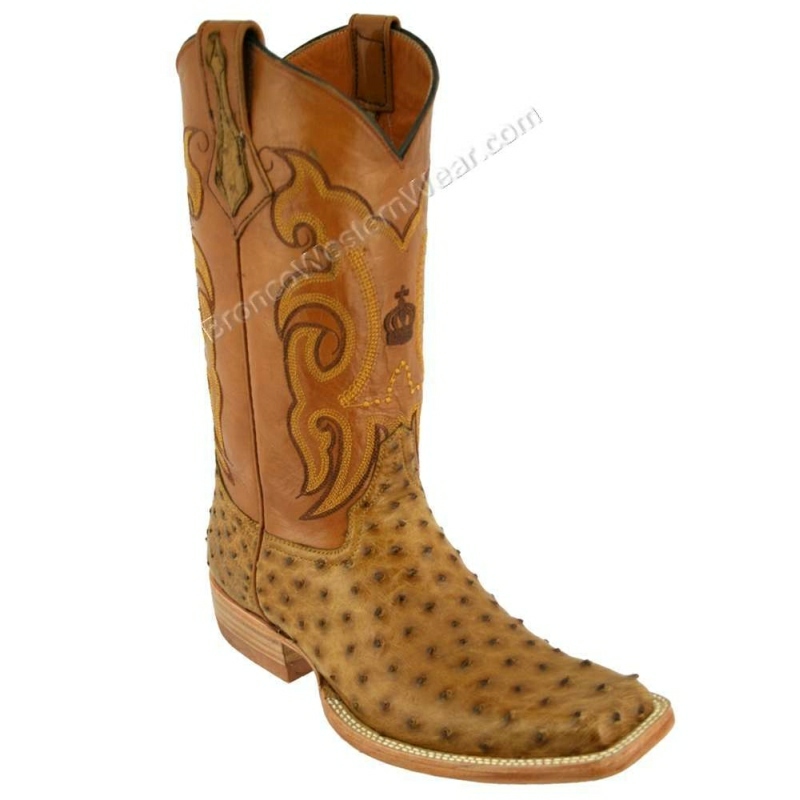 Traditional western boots from Lucchese will be 12 or 13 inches tall and go up in 1 inch increments to 18 inches for Polo and Cavalry style boots. If you try on a boot and notice the top wrinkles around the upper ankle area, it's because the boot is too tight around your calf. (1) Take the height measurement of the boot measuring from the top of the heel, up the side seam, to the top of the pull strap. (2) With your bare foot flat on the floor, meausure the same distance (i.e., the height of the boot you just measured) up the side of your leg. (3) At the proper height, take a tight circumference measurement around your leg. This will give you the appropriate calf measurement according to the height of the boot. If you've consulted our Fit Guide and selected boots that are properly sized to your foot, they won't require a great deal of effort to break-in. Be patient and allow the boot time to naturally form to the shape of your foot. Wearing a brand new boot can feel strange for the uninitiated. 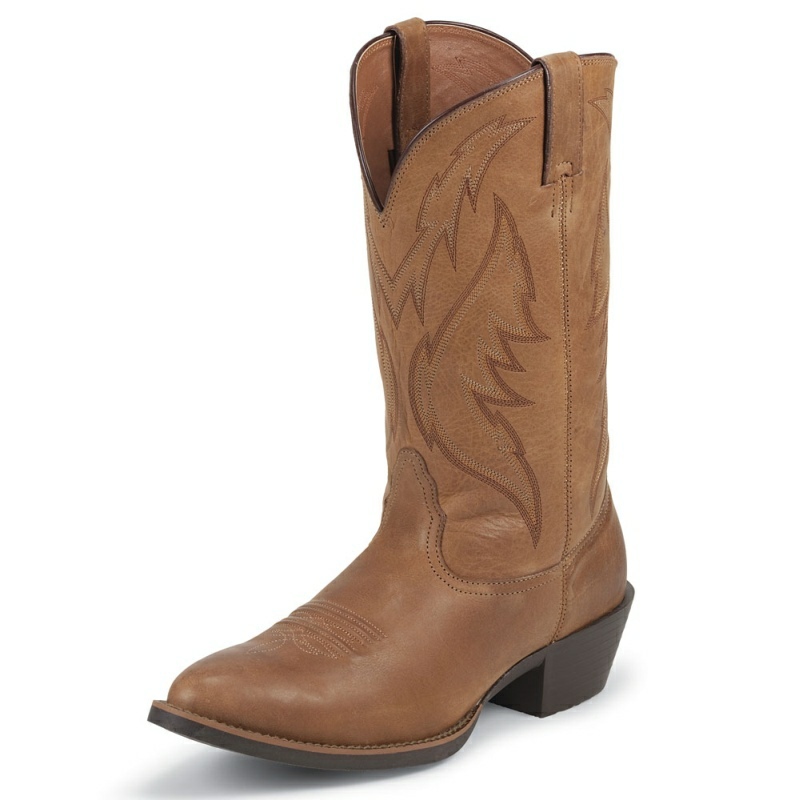 To correctly put on a Lucchese boot and assess how it fits, follow the steps below. Locate the two pull straps and put your fingers through both of them. Open the throat of the boot by pulling the pull straps out from center. Stand up when putting on your boots. Your body weight helps get your foot into the boots. There may be occasions where it is difficult to turn past the throat of the boot near the inside of the heel. Pull on the boot as hard as necessary, using the pull straps. Don't worry, the pull straps can withstand a strong pull. Pull firmly until your foot snaps into place. (1) Your instep should be snug. This is normal and important for good arch support and an accurate fit.